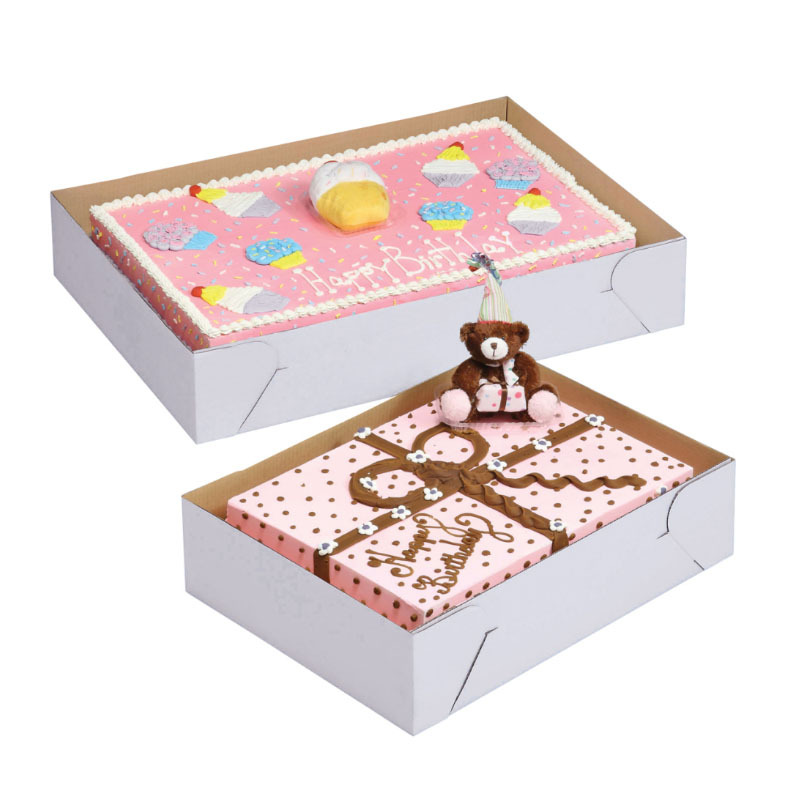 Choose top and corresponding bottom size cake box, to complete your cake box set. 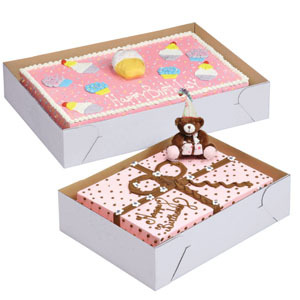 Bottom Cake Box made of corrugated cardboard with kraft interior. 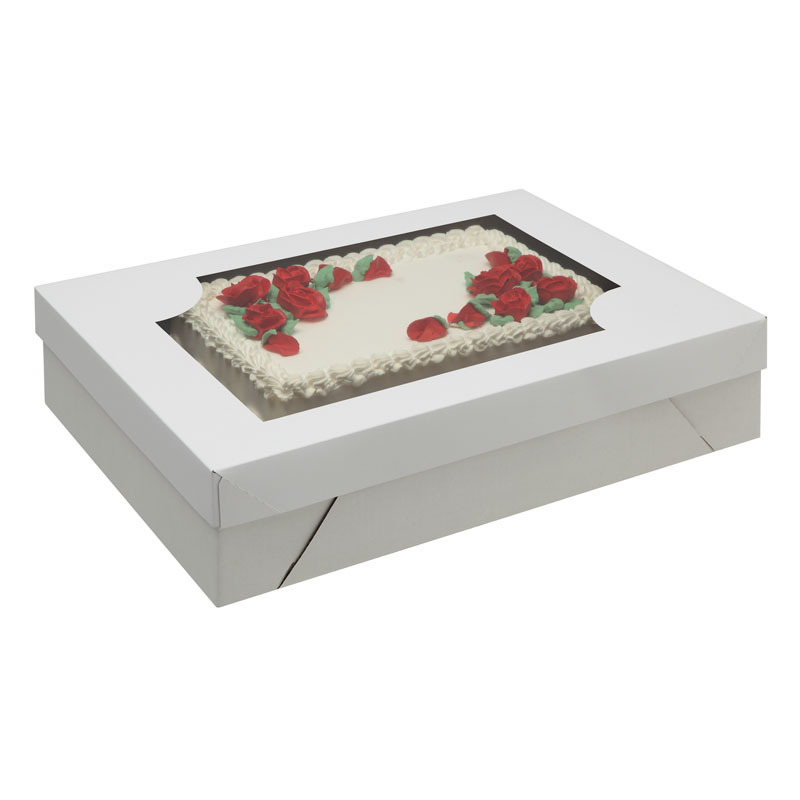 Top Cake Box made of white cardboard and features a window. Very happy with product!!! No complaints with these boxes. Had a very large, heavy cake that I needed to deliver and this box did the job! Very sturdy box. Will be ordering my boxes from here from now on. Nice Top Ditto on the top, nice window and very sturdy.